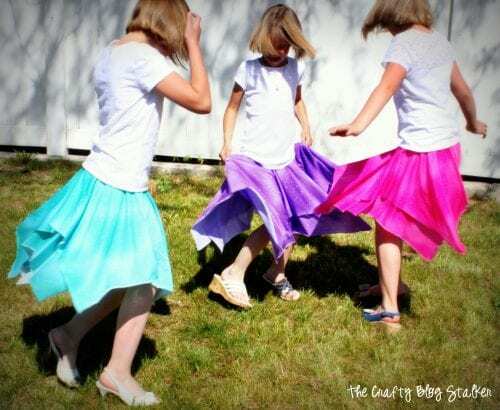 Sew easy circle skirts for summer and no pattern needed! Follow this step by step tutorial and be ready to spin and twirl. A DIY craft tutorial idea. Are you looking for a fun and easy skirt to sew this summer? No pattern is needed for this skirt so it great for a beginner sewer! I made one for each of my girls and they love to spin while wearing their fun circle skirts. For each skirt, I bought 1 yard of 100% Polyester fabric. I wanted all of their skirts to be a bit different so I bought the same fabric just in different colors. The fabric I purchased was 59 inches wide and since I bought a yard it was 35 inches in length. I knew if I did two layers of perfect squares one yard wouldn’t be enough so I decided to cut the piece of fabric into rectangles and then I would layer them opposite of each other so the skirt would still have equal length all the way around. So each rectangle measured 35 x 29 1/2 inches. 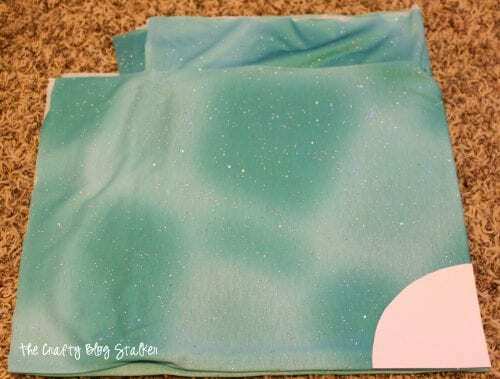 The waist of this skirt is taken out of the center of the fabric so the next thing you will need to do is take the waist measurement of your little girl. 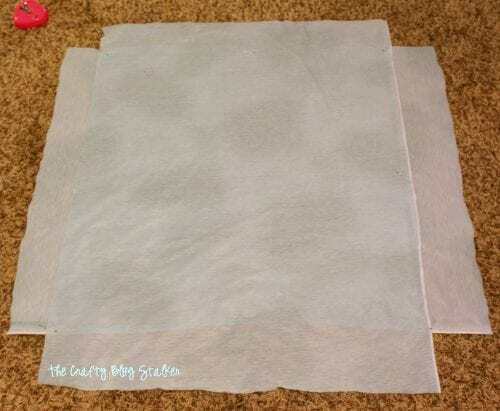 You will have to use a little bit of math for this part, but I used this Circle Skirt Tutorial from and she outlines it very easy so that math really isn’t very scary. Before you cut the hole for the waist, layer the fabric with the right side facing down. Since I am dealing with rectangles and not squares, I laid the rectangles dow in different directions. Fold the layers in half and then in half again. Create a template out of paper for the waist by using the tutorial above. Pin the template to the corner of the fabric where all of the folded corners meet. Cut. 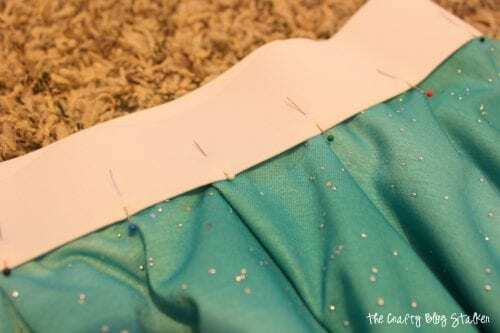 Pin the layers together and sew around the waist. I used a serger, you could use a sewing machine as well. Then comes the last step of sewing on the Elastic Waist Band. Use the same Circle Skirt Tutorial mentioned above for the length of the waistband and how to attach it to the skirt. The best part of the fabric I chose is that it doesn’t need to be hemmed! YAY! Another step I could skip! 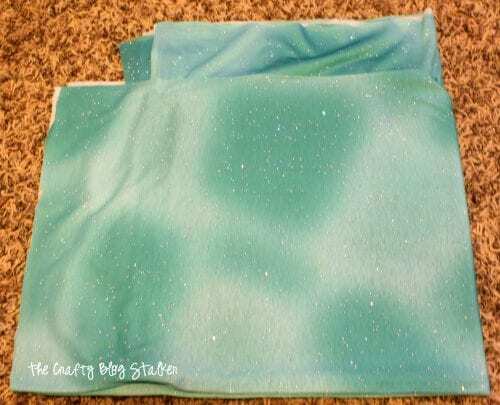 But if you are using a cotton fabric that would be the next step. Now there is only one thing left to do. What other types of items do you like to sew? Share and leave a comment below! 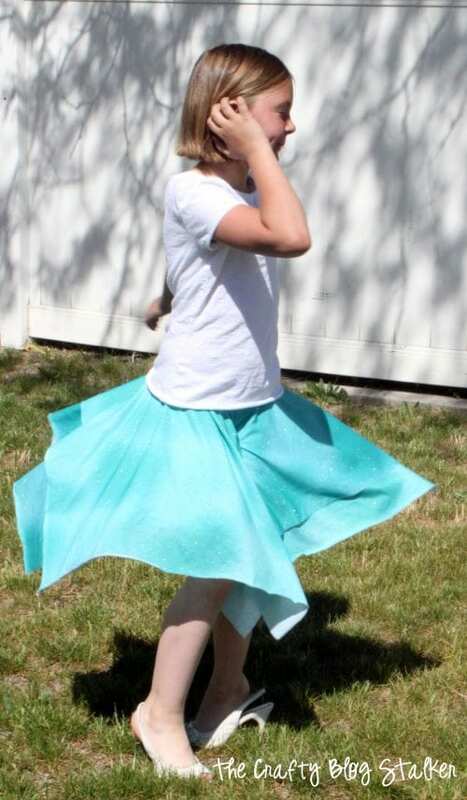 SAVE HOW TO SEW EASY CIRCLE SKIRTS FOR SUMMER TO YOUR FAVORITE SEWING PINTEREST BOARD! TShirt Refashion - Craft Day! Hi There, So easy!!! and they look absolutely thrilled with their skirts!! !A happy post!! !Have an awesome weekend!! I loved this one- it was originally made by Ashley from Makeit-Loveit.com Although I have seen a few people that have taken her image & shared it on their own blogs too. Adorable! Looks like a fun summer project for my girls. And easy enough I might actually attempt. Those look so simple and CUTE! Great job, Momma! Awesome skirts! Making some for my niece! Pinning your tutorial! Stopping in from the Sew Can Do linky party! These area great! So cute, I am pinning this right now. Very cute, I always wonder how to make one of those skirts. I will go so well with a peplum top I have for my niece 🙂 Congrats on your website. Darling!! I am not a seamstress, but I could figure this out! I recently made some simple skirts but these are just darling! Must try. Thanks for the tutorial! I think this is a great learner skirt. I might go with a cotton the first time instead of a knit. The knit can be a little slippery. But if she really likes it you can make another and go for the knit. Good Luck! Holy cow!! SO easy! When I see things like this, it makes me wish I had a little girl. Maybe I should just make an adult sized one. Thank you for linking up to The Creative Exchange! So cute! My daughters love to twirl around in skirts and dresses. They would love this! Pinning!